It’s important to show how odd spaces are to be used in a home, so it will not leave potential buyers confused. This slanted ceiling in the attic could have just been left empty. 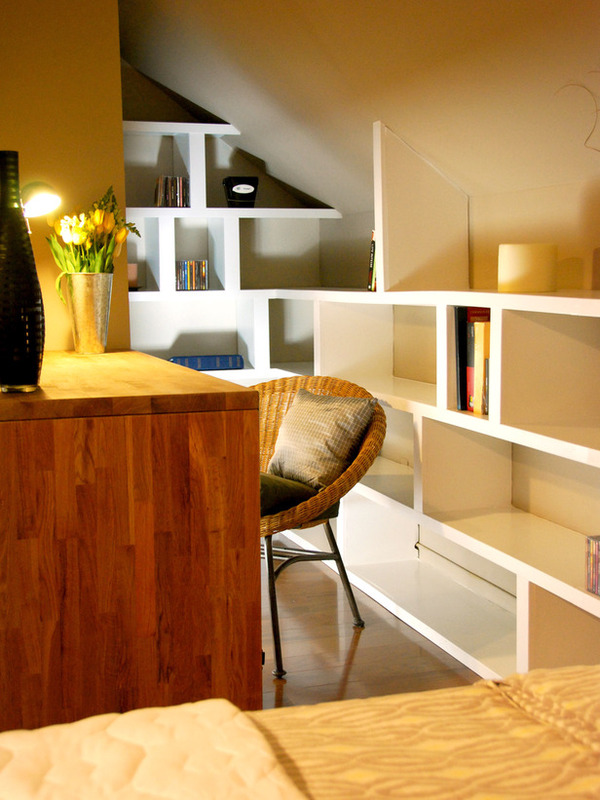 By adding built in shelving, desk and chair, the area becomes a functioning office space. This cozy cove adds value to the home.